A roaring review of the life of a private pilot to the stars; a seafarer and adventurer who has traveled the globe - from the mountains of Utah to the depths of the Red Sea- and found that there’s nowhere comparable to the bright blue waters of the Bahamas. 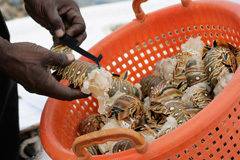 After being established in the Bahamas for over twenty years with an award-winning underwater career, Captain Paul W.J. Harding had the intention of starting the first seaplane charter business in the country. He ordered a factory new seaplane having no clue how to fly! Two decades later he has flown people from all walks of life, including Hollywood legend Johnny Depp, living a life many would envy. 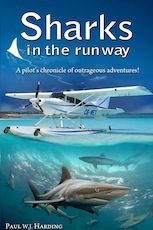 In Sharks in the Runway, Harding reveals what he’s learned along the way. From warding off sharks as a professional underwater diver, to enduring a long wait for legal status after his father left the family stranded in the Bahamas, Harding writes on the struggles he had to overcome throughout his life..
Are you missing the Bahamas? Can't get to the beach? 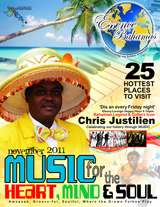 Need the sounds of relaxation or the visual feast of the gorgeous blue waters of the Bahamas? Relax Now presents this video of some of the Best Beaches of The Bahamas along with the natural sounds of the ocean in each location. Take a relaxation break and enjoy, or simply play this video while you surf the Net. It IS Better in The Bahamas! There are established rules of etiquette, both by custom and law that concern the flying The Bahamas Flag. 1. 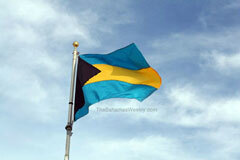 The National Flag of The Bahamas is flown between sunrise and sunset. If flown at night proper lighting is required. 2. No flag shall take precedence over the National Flag. TheBahamasWeekly.com is pleased to present herewith the Frequently Asked Questions by those who seek to invest in The Bahamas, this information comes from The Bahamas government website: 1. What is National Economic Council (“NEC”)? The National Economic Council, headed by The Prime Minister, is responsible for the executive management of the National Investment Policy and is the decision making body in respect of all commercial projects undertaken by foreign direct investors. 2. Who is the Director of Investments? The Director of Investments is Mrs. Joy Jibrilu. Nassau, Bahamas - Although it has been published by Etienne Dupuch Jr Publications for more than half a century, The Bahamas Handbook always comes up with fascinating and little-known facts about The Bahamas, its people, culture, economy and history. 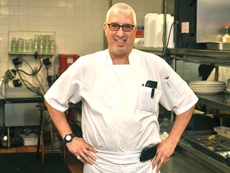 NASSAU, The Bahamas, 28 November 2011: Chef Anthony Notarfrancesco knows food. In particular, he knows Italian food. So, when given the opportunity create a fresh, new menu for Anthony’s on Paradise Island, he drew on his Italian roots and created a menu that married Italian to Bahamian/Caribbean cuisine. WASHINGTON, DC – About four thousand six hundred people visited the Embassy of The Commonwealth of The Bahamas in Washington DC as part of Passport DC’s “Around The World Embassy Tour” on Saturday, May 14, hankering for a taste of Bahamian culture. Newswise — AMHERST, Mass. – Though bonefish are one of the most sought-after tropical sport fish in the world, drawing thousands of anglers to Caribbean waters every season, until recently the only information scientists had about their spawning habits were anecdotes and fish tales. Miami, FL - Lissette Diaz is a homegrown Miami girl who has turned her love for Bahamian bread into a business. She grew up in a house with a cake- baking mother and spent summers in the Bahamas. She remembers early morning bread runs with her father with affection, and these proved to be the perfect inspiration for this budding entrepreneur and her Bahama Bread Company. The Bahamas UK Tourist Office campaign, called the 14 Islands Film Challenge,was a six-month competition to find 14 aspiring and professional film-makers in the UK to send to the Bahamas and write, shoot, edit, and produce 14 films on 14 of the Islands of The Bahamas. 'Grandpa's Quest' by Kevin Curtis is my favourite! True story-telling genius which weaves in the many assets of Crooked Island. Vacations.com - Have you ever flipped through the pages of a travel magazine and wondered how all the people in the photos could look so well-coiffed and serene? I discovered exactly how last week on my Caribbean vacation in Eluethera, Bahamas. Watch this high-definition video and explore the Exumas in the Out Islands of the Bahamas. From the luxurious and swanky to exotic and funky, the Exumas epitomizes the wide range of Out Island vacation experiences. Your hosts, Kevin and Jennifer get off the beaten path and get up close and personal with nature. From swimming with the sharks at Compass Cay, to visiting the Iguanas on Pretty Bitter Guana Cay and feeding the the swimming pigs at Big Major Cay, Kevin and Jennifer experience it all for the first time. The Times Online travel section says, The name for The Bahamas comes from “baja mar”, Spanish for “shallow sea”, most appropriate as many of the islands are surrounded by seductive turquoise water made luminous by the sunlight reflecting up from the shallow sandy bottom. The Bahamas Weekly is pleased to announce the launch of " Bahamas Destinations" where your Bahamas Weekly News Team takes you and our entire world-wide audience on sneak-peek video tours at a multitude of beautiful, fascinating and/or unique destinations throughout The Bahamas. 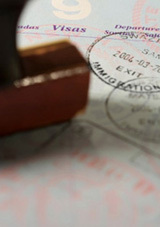 Hotels, resorts, restaurants, nightclubs, eco-tours, and more! If it is in The Bahamas - it may be featured in an upcoming segment.